Please help support a good cause and some good friends of ours this Saturday June 30th and Sunday July 1st, 2012. 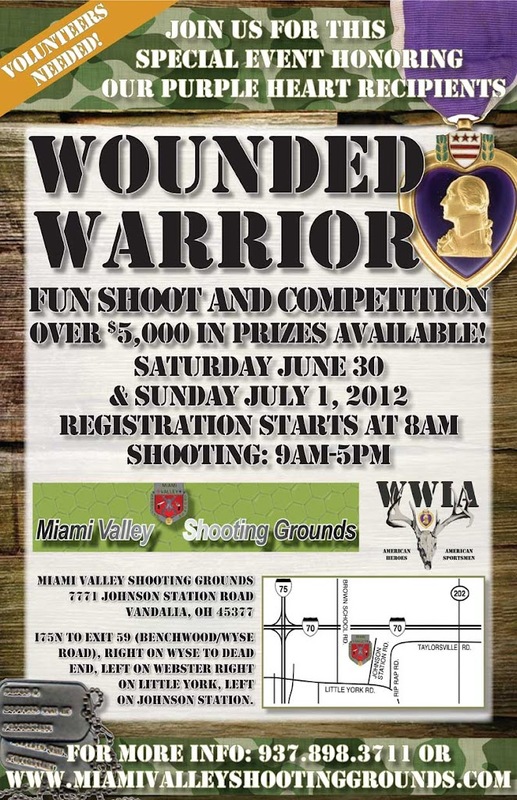 Miami Valley Shooting Grounds is holding a Wounded Warrior Fun Shoot and Competition to benefit Purple Heart Recipients. A great way to support an incredible organization like the Wounded Warriors in Action, have some fun Shooting and possibly win some good stuff with over $5,000 in prizes available!